Standpunkt: Die Passivität der Heranwachsenden – Hanniel bloggt. Solche Aussagen höre ich oft von jungen Erwachsenen. Wie ich es auch bei meinem Söhnen tue, sage ich als Antwort darauf: „Dann komm auf mich zu.“ Das Anliegen soll von ihnen getragen sein. Ich erwarte Initiative. Und ich merke: Diese bleibt aus. Eigentlich immer. Weshalb? 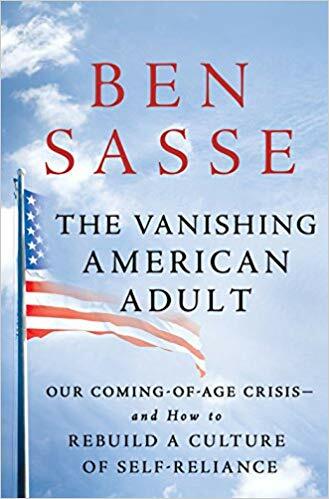 Ben Sasse, promovierter Historiker, US-Senator von Nebraska seit 2015, erzählt in seinem Buch "The Vanishing American Adult" von einem Schlüsselerlebnis, nachdem er Präsident der Midland University geworden war. Early in my tenure at Midland University, a group of students in the athletic department was tasked with setting up a twenty-foot Christmas tree in the lobby of our basketball arena. These were hearty and healthy kids, 18- and 19-year-olds. They got the tree up, took out some decorations, dressed the tree, and began to leave, concluding that the job was done. That was when one of the university’s vice presidents happened by and noticed something odd. The Christmas tree was decorated only on the bottom seven or eight feet, on the branches the kids could easily reach. Why, she asked, was the work only half done? The head of a sorority replied, “We couldn’t figure out how to get the ornaments on the top.” “Was there not a ladder in the gym?” the vice president queried. “Was maintenance unwilling to bring one?” She was met with shrugs. No one had bothered to look or thought to ask. This day’s failure wasn’t at all about lacking brains; it was about will. It was about ownership. It was about not having much experience or interest in seeing tasks through to completion. Since arriving in the Senate in 2015, my colleagues and I have had discussions on many urgent national problems—from health care to immigration, from cybersecurity to new job creation. All of the proposed solutions to address these problems are meaningless, though, if we lack an educated, resilient citizenry capable of navigating the increasing complexities of daily life. We need our emerging generation to become fully functioning American adults, providing for their families, investing in their communities, showing the ability to raise children who will carry on after them, paying taxes to help government function and fix our broken retirement system. We need curious, critical, engaged young people who can demonstrate initiative and innovation so the United States can compete with a growing list of economic, military, and technological rivals in the twenty-first century. … my grandmother believed she needed to teach us a lesson. She wanted both of us to know the difference between need and want, between necessity and luxury. She wanted us to realize how good we had it. And she wanted us to appreciate the painful labor that made such simple treats as ice water an everyday indulgence.